Surveillance refers to using electronic, photographic, audio recording, and other technological equipment to monitor activities in a covert manner. FIDA employs state-of-the-art equipment and investigative techniques which are designed to ensure that evidence is obtained in accordance with applicable laws and ethical guidelines. Surveillance being tailing or shadowing of a person and then observing his movements and activities, it provides ‘A’ grade information about the target. Surveillance may be static. We tail a person with utmost care using latest technologies and also provide video and photographic evidence wherever possible. 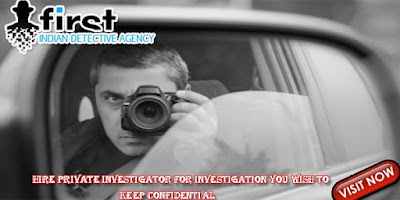 We also make use of undercover vehicles equipped with all modern gadgets to get closer to the subject and find out the real truth and thereby confirm our doubts. Our Surveillance is so unobtrusive that the target becomes least suspicious of being watched and as a result, it may continue for days together and the subject hardly gets alert. We employ a first class team of highly trained/experienced professionals that have unrestricted licenses. They are strategic thinkers and have the ability to adapt quickly to changing situations. Our investigators are discreet and knowledgeable regarding Privacy Laws and Legislation. At the outset of every investigation, we create a customized plan of action in order to maximize our surveillance efforts. We provide regular reports of the surveillance activities to our clients as matters unfold. These high standards ensure the highest quality results in the most demanding of cases.